Not everyone has the same taste in art. You might appreciate pop art while your friend of neighbour prefers something more traditional but no one wants to deal with graffiti. No matter how much time you spend trying to keep your property looking great, it can all be gone in a manner of minutes. Graffiti takes no time to apply but once it is up, it can last a while, unless you call in the pros, that is! Our Gorillas are ready and willing to fight back against vandalism with our Hamilton graffiti removal. Graffiti vandalism is on the rise all over Canada, and why wouldn’t it be? Street artists are popping up in every major city around the world and have been for some time. The only problem, is that these “artists” use your property as a canvas without your permission. More often than not, these designs aren’t pretty, either. 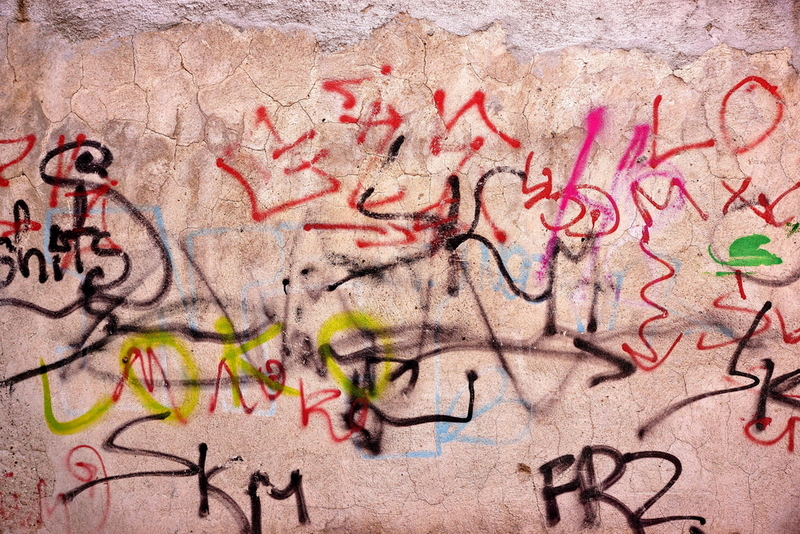 The most common forms of graffiti around the Hamilton area are tags, consisting of names and are even sometimes offensive. The longer that these designs sit on your property, the more difficult they are to remove, the more people see it and, it invites more paint. Graffiti artists are known to be competitive, so if you find yourself dealing with a tag, it won’t be long before a rival leaves an even bigger mark. 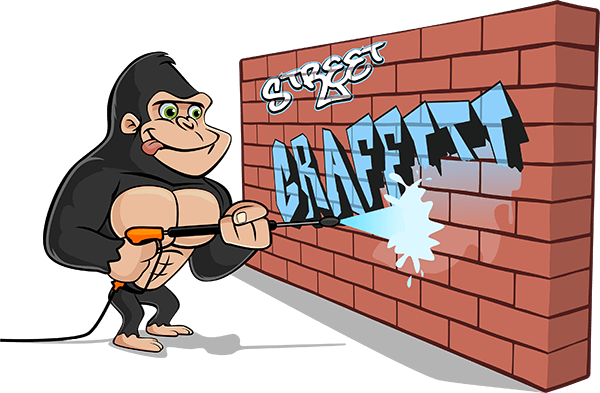 Instead of making life more difficult for yourself, call our Gorillas for your Hamilton graffiti removal. When it comes to peeling paint off of your property, sooner is always better. Leaving paint sitting against the exterior of you property allows it to seep further into the facade. This makes removal a lot more difficult, but our Gorillas can handle any task. Our Hamilton graffiti removal service begins with a treatment of our eco-friendly cleansing solution, which draws our surface stains. With a clear view of exterior walls and materials, our Gorillas can find the right solution for your space. It might be scrubbing, pressure washing or even painting but our Gorillas will get your paint gone!